Ok, I'm 100% not a mum but don't I look like one in this get-up? I think it's something about the sensible trousers - I think I need to make them a bit 'cooler' next time I wear them! I'll get back to you with what I decide might make me look 23 and not 43. 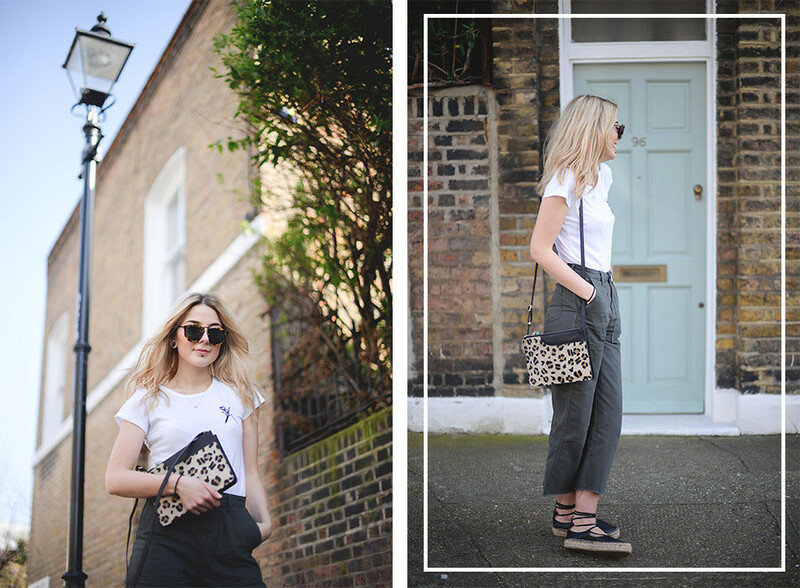 Either way, I really like them - I've been after some khaki culotte kind of things for a while now after spotting this Gap pair but these UO ones will do nicely. 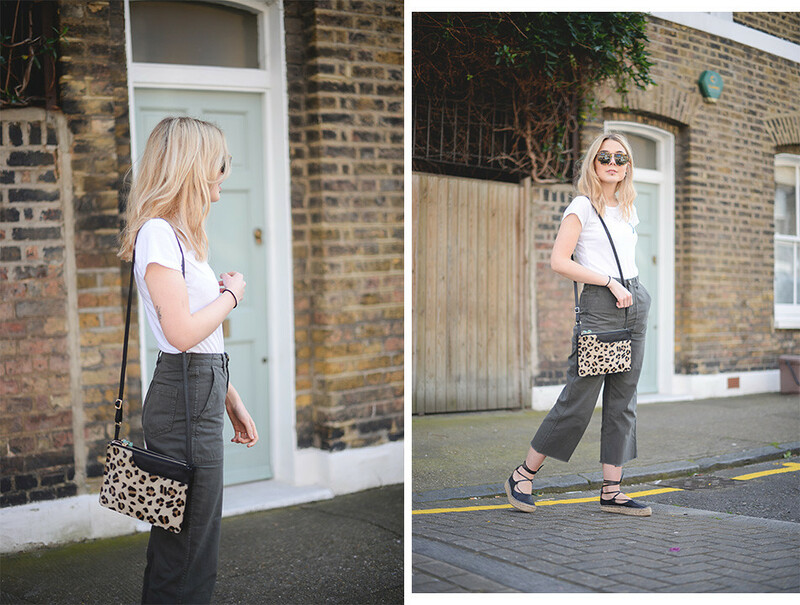 I'm also sporting this little Radley leopard number too, which is just the right amount of print for someone like me. I really like the fact it's pony hair too as it has such an interesting texture. 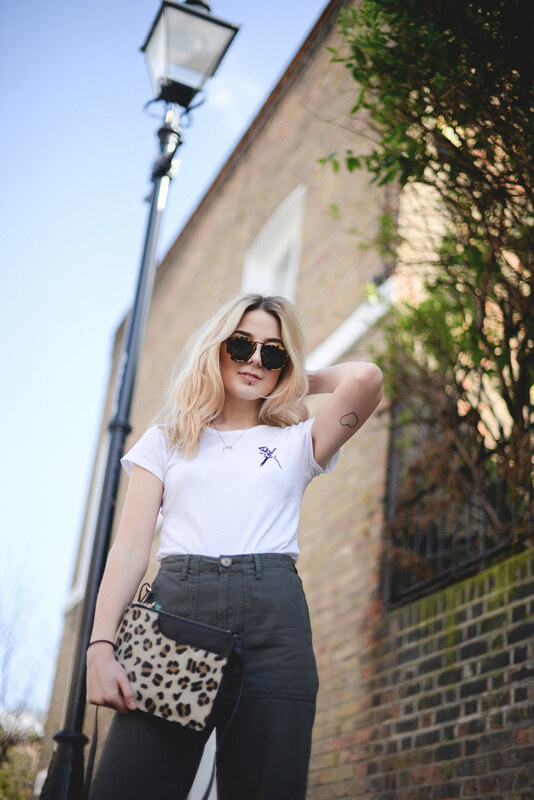 What do you reckon, to leopard or not to leopard? 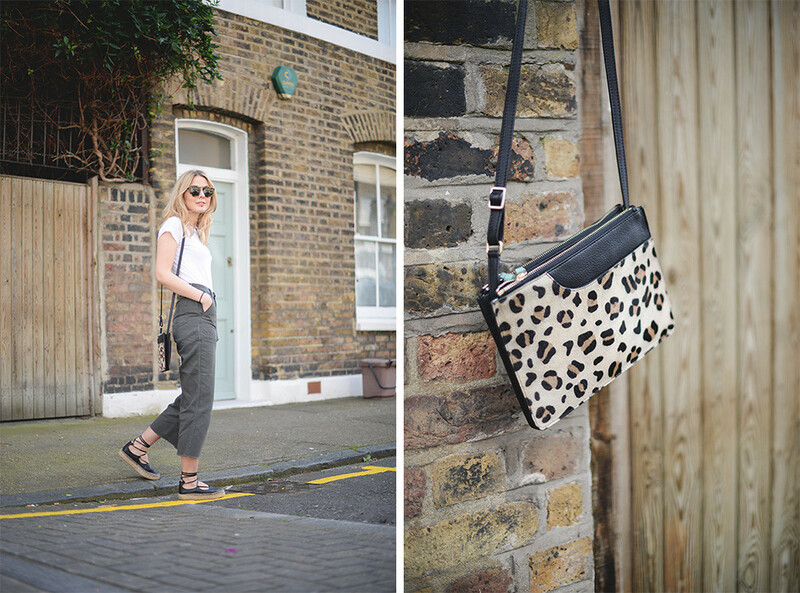 Post in collaboration with Radley, all mum vibes and love of leopard print my own. I really like this outfit the khaki culottes a different from the norm and I like the way you styled them with the shoes with a subtle print as well, really nice!